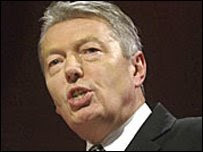 Health secretary Alan Johnson will unveil the national dementia strategy this week. The government's aim is to raise the profile of dementia, increase early diagnosis and improve the quality of treatment. There may be a problem with encouraging people to seek early diagnosis. People are not very good at recognising they are dementing. This means dementia may be misdiagnosed when it is really benign forgetfullness or depression. The drug companies must be laughing about the encouragement of mind-enhancing drugs. These are the same drugs which when I was training were said to be ineffective. Academic old age psychiatrists opposed their introduction then, but now seem to be encouraging the government strategy. Check out any conflict of interest. Nor do I think there are any intervention studies for changes to diet and lifestyle. Just because there may be associations does not mean they are causal. Thank goodness for better support for carers but what does it mean?